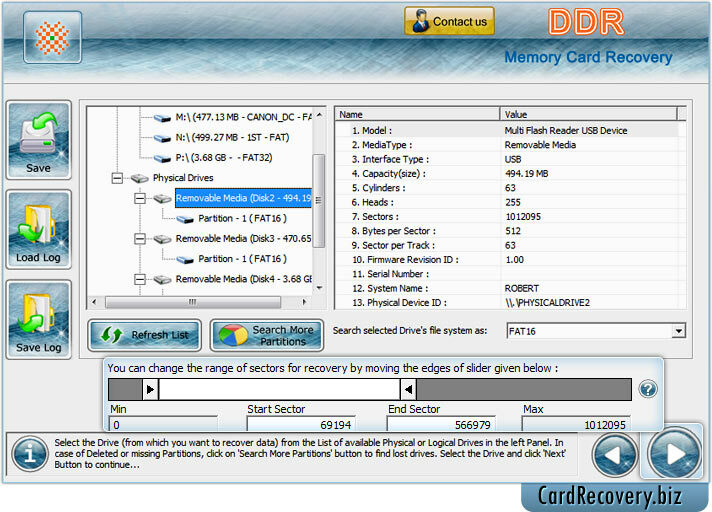 Select removable media (Memory Card) from which you want to recover data, if the drive from which you want to recover details is not in list then click on “Search More Partitions” button. 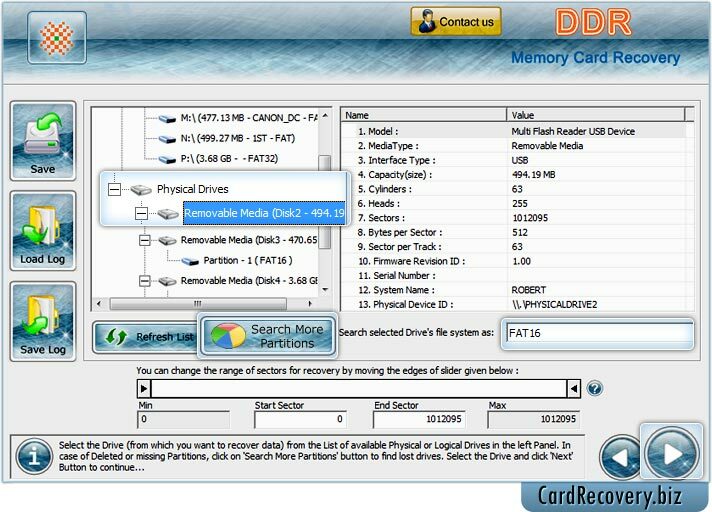 If you want to search data within specific sector range, then drag the edges of slider to enter sector range or you can enter these value manually. 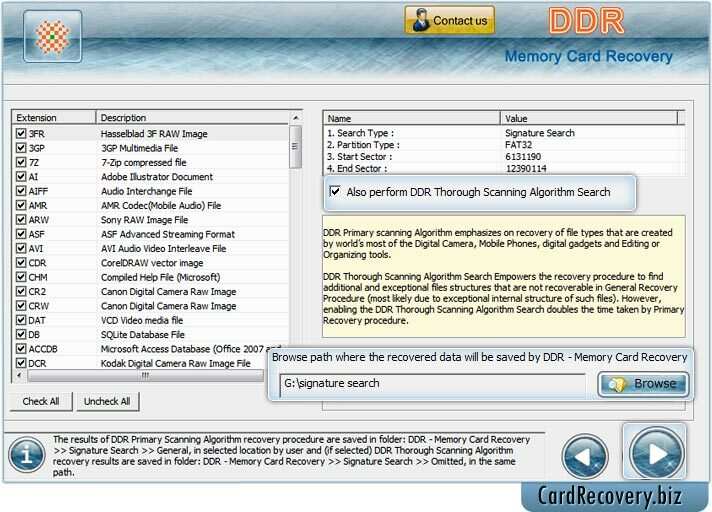 Check “Also perform DDR Thorough Scanning Algorithm Search” to scan disk after general recovery procedure and browse the destination path where you want to save data after recovery. 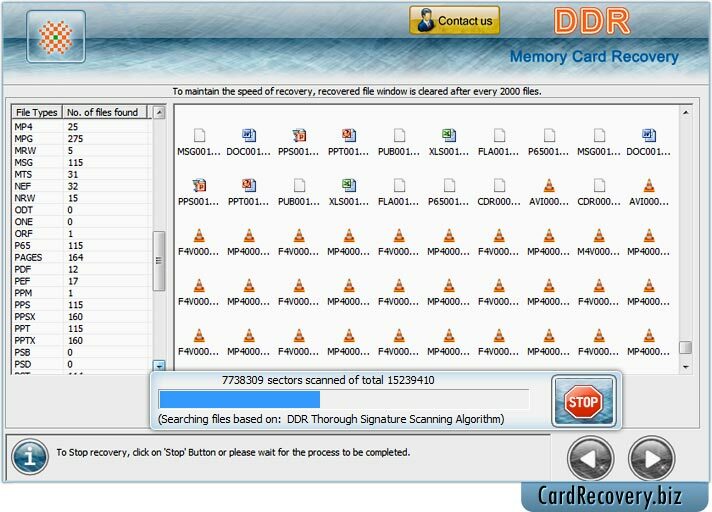 Perform disk scanning process using DDR Thorough Signature Scanning Algorithm to search lost files and folders.